Happy Tuesday lovelies! Hope everyone's week is off to a fantastic start! ﻿So, as most everyone in the Midwest knows, it's festival season. One of the things I love about Florida is the festivals we have. We might not have the same fairs I used to go to when I lived in the Midwest but we have a festival for everything. 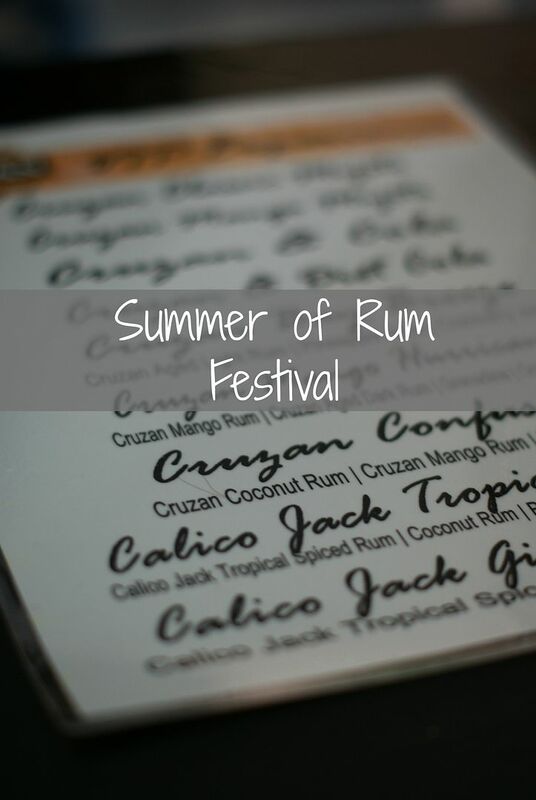 From the Spring Beer Fling to Ribfest there truly is a festival for everyone but one of my favorites is the Summer of Rum Festival. 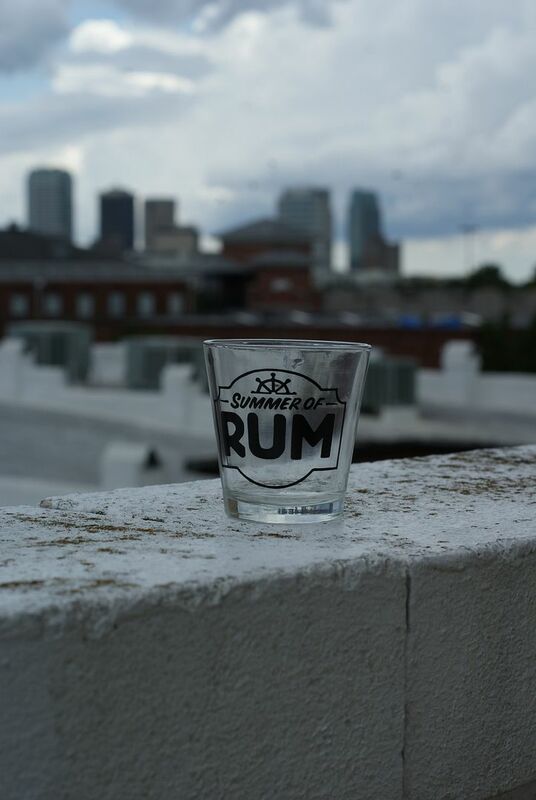 Located just outside of Tampa in Ybor City, the Summer of Rum Festival celebrates National Rum Day in true pirate style for the third year in a row. 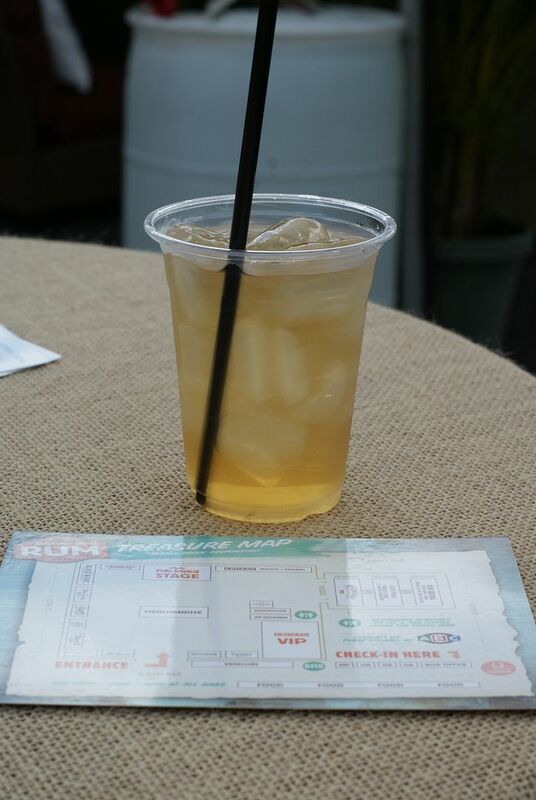 The Summer of Rum Festival is an inside and outside experience (which was great considering we had some gross weather) where you can visit several different "Rum Zones" and try cocktails like the classic daiquiri, mojitos, mai tai's, rum punches and so much more! In addition to the "Rum Zones" there were different vendors from Caribbean food, clothing and accessories and of course a cigar vendor. 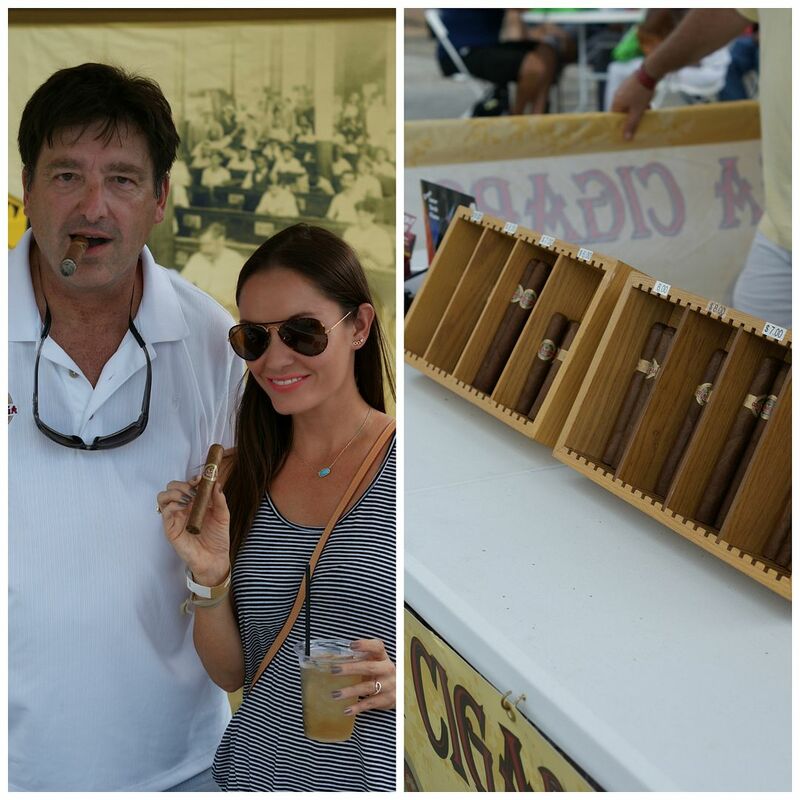 I mean, you can't have a a rum festival at a Cuban Club without cigars, right? There was also live entertainment featuring multiple bands and even a Polynesian fire show to keep you entertained while walking around and trying things! We got the VIP passes which gave us access to the VIP Cruzan Tent on the main patio as well as a free rum tasting on the top floor of the Cuban Club. 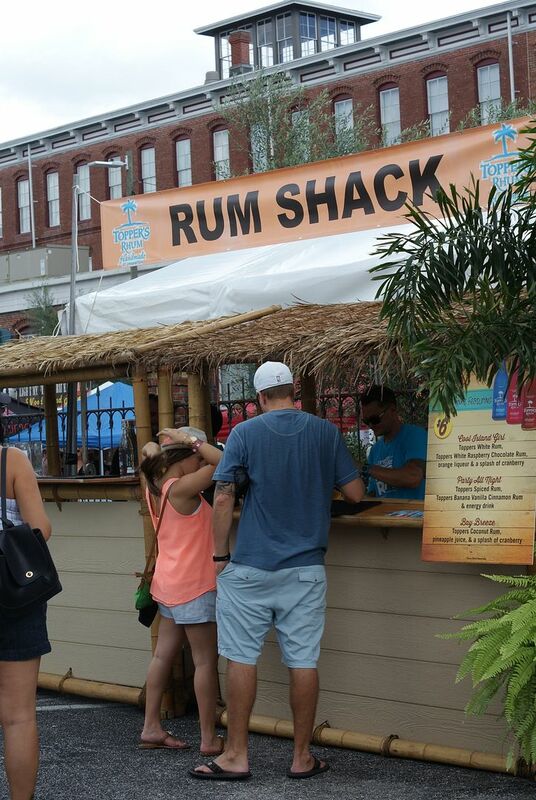 If you ever go to the Summer of Rum Fest I'd suggest to go straight to the rum tasting because it gets VERY busy and they ended up having to let people up as people left later in the afternoon. The views of downtown Tampa from the rooftop patio were amazing, we actually hung out there for a bit watching the storms roll in before heading in to try some rum. The rum tasting room is a giant open space with rum vendors everywhere. Trust me, walk around and figure out what rums you really want to try because if you attempt to try them all you probably won't be walking out on your own! The rum tasting featured over 50 different types of rum and they give you a very generous pour. Don't tell anyone but I ended up "tasting" some and then throwing out the rest before moving on to the next table because if I would have tried them all or drank my full pour I'd probably have passed out before making it even half way through! After the rum tasting we headed down to the Captain Morgan Pirate Cove and Theater where they were serving up Captain Morgan cocktails and playing pirate themed movies all day. We skipped out on the drinks and just relaxed and watched Pirates of the Caribbean waiting for the storms to move out and it was the perfect way to cool off and unwind for a bit. I'll admit it, any time Pirates of the Caribbean is on I'll stop and watch! The VIP tent allowed us access to free Cruzan Rum cocktails, water, free food from Pollo Tropical, private (and clean!) bathrooms and seating with mister fans (a definite must in August in Florida)! You also have an amazing view of the stage from the VIP tent and it is the perfect people watching spot! The people watching definitely gets better and better as the day goes on, obviously the more alcohol that gets consumed the more entertaining it gets! It was definitely a great event and if you're ever looking for something to do in Tampa, check out Big City Events, chances are they're throwing an amazing festival you're missing out on! 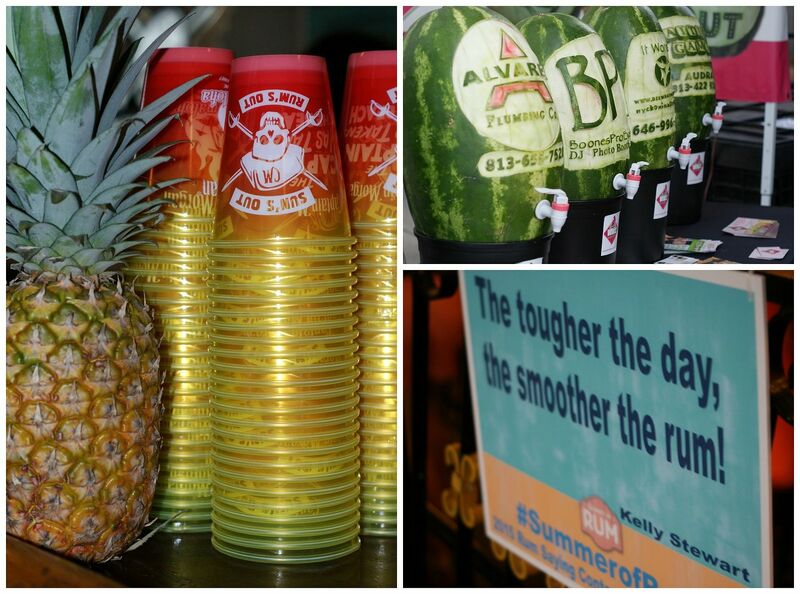 A big thank you to the Summer of Rum fest for the amazing time, I can't wait to see what next year's event holds! "But WHY is the Rum gone"???????? One of my favorite lines from one of my favorite movies. I was a HUGE rum girl in college and really until I met my husband who's a whiskey guy. GOOD rum and coke is my go to drink when I'm looking to get rowdy, haha. Looks like you had a great time at the festival! What a fun festival- and yummy, too! And definitely love the Pirates movies- can't NOT watch if they're on TV! Ok when you were talking about this yesterday I was thinking "ew I could not take shots of rum all day - I would hate that" but THIS SOUNDS AWESOME. Like, I might plan our vacation around it next year, lol. I love Pirates of the Caribbean too! I'm not generally a huge Johnny Depp fan but I love him in those! Did they have all the food trucks again this year outside? Last year we ended up heading over to ybor and going to Samurai Blue because I always feel like those events are heavy on the alcohol and light on the food.........hence the carrying out situation lol. What a fun festival. I think anytime they mix alcohol and a cool outdoor area, it's bound to be a good time! Brian would be all about that cigar section! Such a fun festival theme! What a fun way to spend the day (though I'm with you, I wouldn't have been able to handle all of those large samples!). I'm so excited for festival season to get into full swing in NY in September! Ohhh how fun is this!!!! Such a fun way to spend a day! This looks like so much fun. I love Ybor City. We've gone to Cugar City Brewery and that was fun tasting all of the beers. I would not have been able to drink that much fun either lol after one hard liquor drink I'm already dizzy, which is why I stick to wine because it takes a few glasses for it to hit me lol. I absolutely LOVE outdoor festivals and they really aren't complete without alcohol! :) This seems like a really fun one! I'm already looking forward to next Summer and being able to participate in them. My husband is a huge rum guy and this is right up his alley! Looks like so much fun. Glad you were able to get VIP! all the rum! i totally ran out of the good rum we love the other day and need to get more. so i had no rum for national rum day :) ah well. looks like a fun time!! def overflowing with liquor everywhere! I love festivals like this--always a fun way to spend time with friends and sample some new things you might not have tried otherwise! I love that they were playing Pirates of the Caribbean at this festival - such an appropriate movie for a festival all about rum! :) Great pictures! So fun!! Love that the captain Morgan area was playing pirate movies all day! Still can't believe they were giving out that much rum! That rooftop view looks awesome too! What a fun summer festival. Love me some rum. Well, really just malibu rum, that's my favorite. Looks like so much fun!!! I love a good summer festival ... and let's be honest - really any booze festival ... lol!!!! Okay! I've noticed there aren't any fairs here in Arizona, either! Bummer since Mia would love those!! Do you think it's just because it gets so warm in our areas?! At least you have fun festivals to go to! I'm pretty sure nothing (besides concerts) happen in AZ in the summer. Hopefully there will be fun stuff this winter! I could definitely get down with a Rum festival! This sounds like so much fun! I won't lie to you... at first I thought this said "ruN" and I was about to be like, "nope." Then I realized it was "ruM" Lolol I like how they make actual drinks and you don't have to just taste the rum plain. And food, too?! Hell yeah, son! Looks like so much fun! I love festivals - any excuse for a good time! Looks like an amazing festival!! Tampa is such a fun city!! This looks like SO much fun! I love me some rum, so I would've been hitting up the cocktails all day long. :) And, yes to Midwest festival season! There's basically one every weekend around here. This sounds like such a fun event!!! Even at beer festivals I have to toss some of the beer because I can't hang with the heavy drinkers haha! My husband would have loved the cigars. I've never heard of a rum festival!! It looks and sounds like so much fun! I'm not a huge rum drinker but with all those different kinds to find I'm sure I would find a couple that I like. Also now I'm really craving rum punch...may have to find a good recipe and make some this weekend! Oh I'm sure the people watching got better and better! I would've just been drinking mojitos all day long. Hahaha. That would be sure to give me a headache the next day. I think this has to be my favorite festival - how fun does this look! I wish we had more like this around here but the few we do have can always be fun. So nice to be outside and testing out some new and fun things. Great photos, looks like you had a great time. 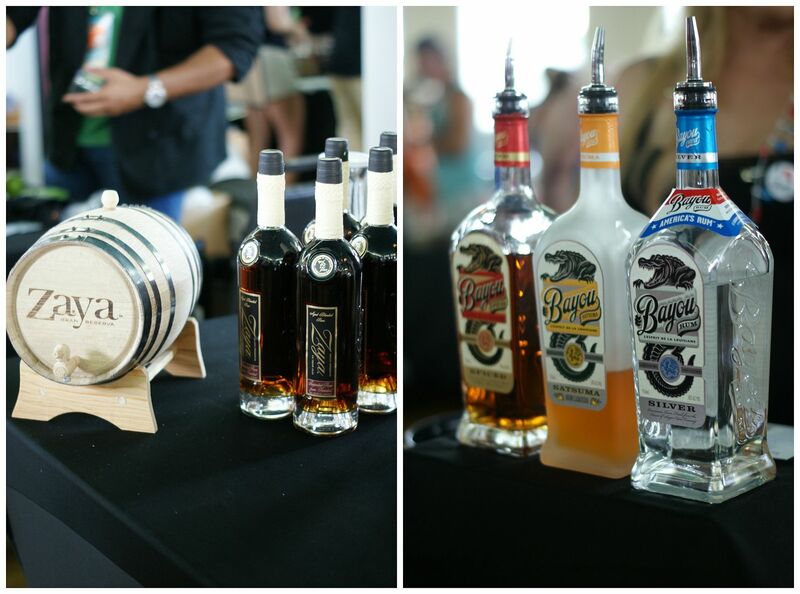 I have never been to a rum festival, but it sure looks like fun. i love pirates of the caribbean haha :) i totally would have done the same. i love a good drink like anyone, but when they are too strong it takes the fun out of it! This sounds so Caribbean. haha I hate rum but any festivals are a good reason to go have fun!